One of many ongoing debates in our house is over pasta. I love and could happily eat it with any number of sauces multiple days a week. I’m a fan of all forms, from plain ole elbow macaroni or supermarket egg noodles, to the prettiest semolina copper die-cut Italian pastas, to my mom’s favorite homemade pasta: spätzle. It’s the ultimate dinner Trifecta: Easy, Quick, & Healthy. If you go big on the sauce and easy on the pasta, and if the sauce is veg heavy, it’s all the better. What’s not to love? According to Matthew, it’s too carby, or too filling. Duh, that’s the point! I don’t quite get it, but his argument goes something like: it fills you up fast but leaves you feeling half bloated and half hungry a couple hours later. I don’t feel that way about pasta, but can relate when it comes to eating a big stack of pancakes for breakfast. I try to be understanding. We might have some unresolved gluten tolerance issues to work out. Let’s not worry about that now. We compromise then on having pasta only once every few weeks. While I grew up eating homemade pasta regularly, it was more of the egg noodle variety: my paternal grandmother made thick noodles using fresh, bright yellow yolks from chickens she knew personally, and my mom dropped squiggles of fresh dough from the back of a spoon into homemade stocks and soups. Well, I’ll answer that by saying I wrangled a bit with whether to share and endorse this recipe. It’s not hard so much as fussy and time-consuming, and while I’m glad I tried it, this wasn’t the homemade pasta of my dreams. I combined two of Alice Waters’ pasta recipes (Herb Pasta and Whole Wheat Pasta), plus tried incorporating Cooks Illustrated’s technique of increasing the yolks for easier rolling which is the route David/Deb go. Perhaps sticking to one basic recipe would have been a better place to start. 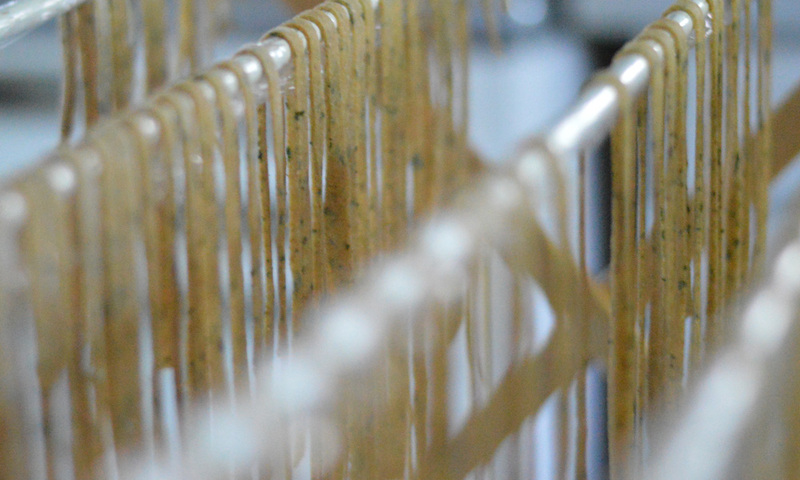 Still, if you’re a pasta lover with a free day (or two) that you’d like to dedicate to making some of your own noodles, dive in! Alice suggests stirring your pasta dough in a bowl. It’s one extra bowl to wash, but less stress of egg splooging across the counter. Put the flours around the edge of a bowl with the salt. 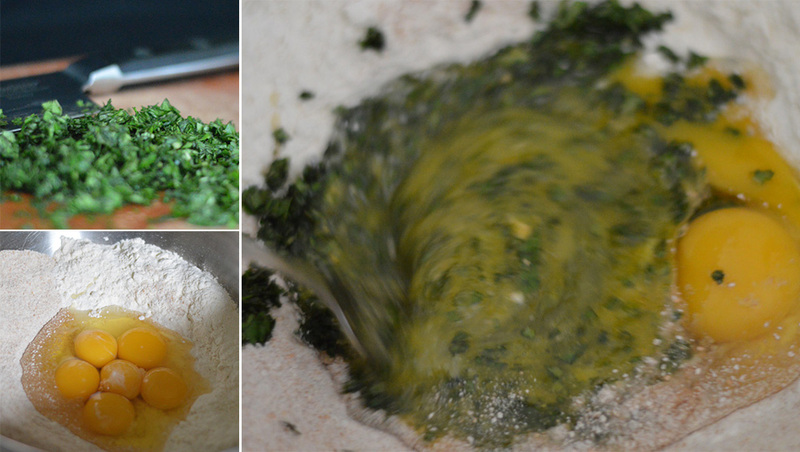 Crack the eggs and yolks into the center “well”, add the basil and beat the eggs well with a fork. Once the eggs are well-beaten, gradually start incorporating the flour into the egg until the fork is no longer useful, then switch to your fingers to bring together into a shaggy mass. Turn out onto counter and begin to knead for 1-2 minutes. At this point, try to assess whether the dough might need another tablespoon or two of flour or a couple sprinkles of water. The dough should be only slightly moist; not cracking apart while kneading and not even close to sticky. Err on the side of too dry; it will make things easier in the rolling stage. Knead another couple minutes, then let it rest for 5 minutes, then knead it again for 10 to 15 minutes. Cover dough with plastic wrap and let rest at room temperature for 45 minutes or longer. Lightly flour counter. 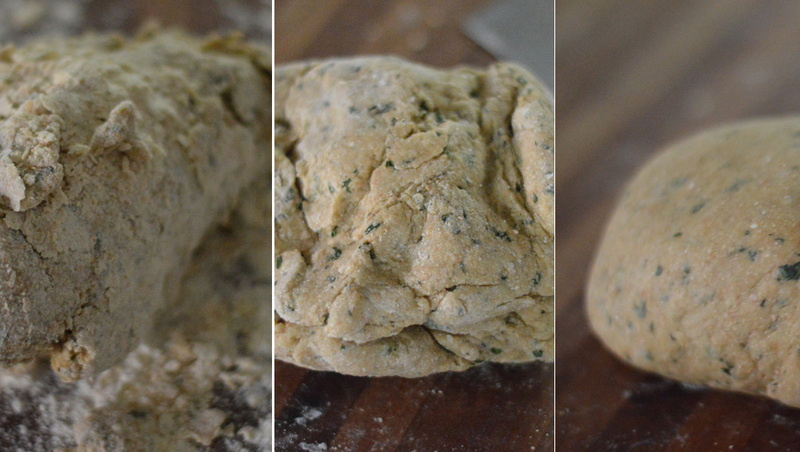 Divide dough into six or more sections; its easiest to work with small amounts of dough at a time. 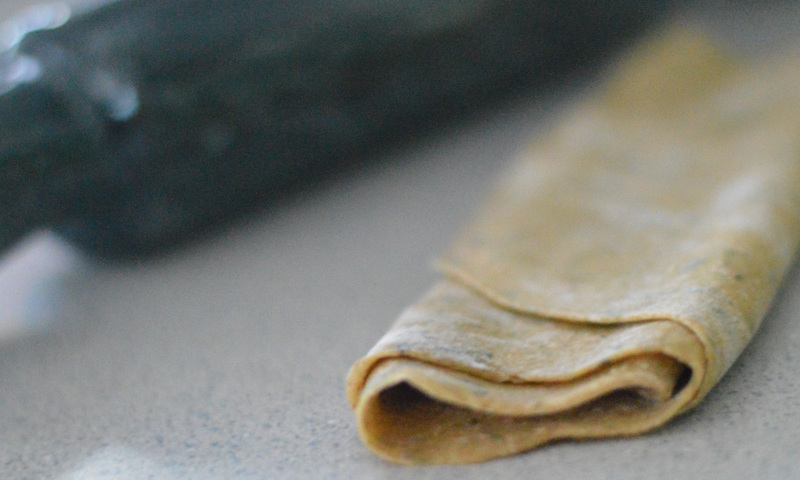 Using a rolling pin and a lot of upper body strength, roll the pasta as thin as you can – until it’s translucent, if possible. For long pasta shapes (spaghetti, fettuccine, tagliatelle, etc) gently fold pasta sheet into a loose roll to prepare for cutting. Allow to rest 5-10 minutes. You can work on rolling your next section in the meantime. 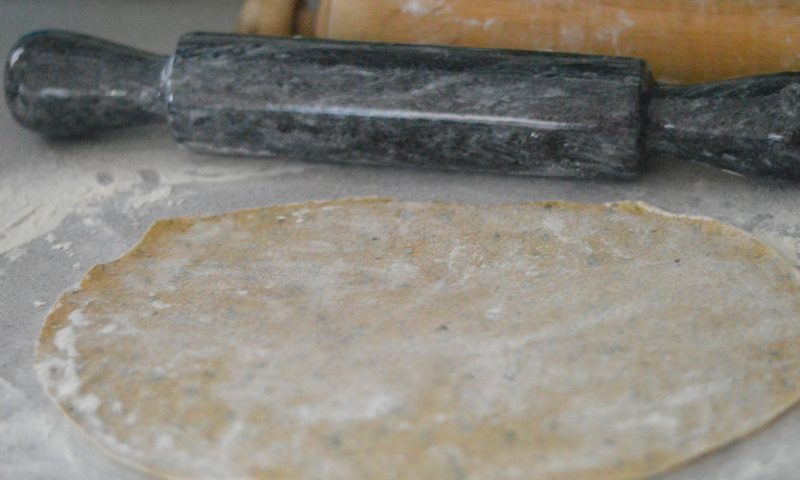 After a rest, using a sharp knife, cut straight down across rolled dough into slices of desired width. Carefully unroll curls and hang to dry. Either cook right away or hang to dry. Dry completely (12-24 hrs) before storing in an air-tight container. 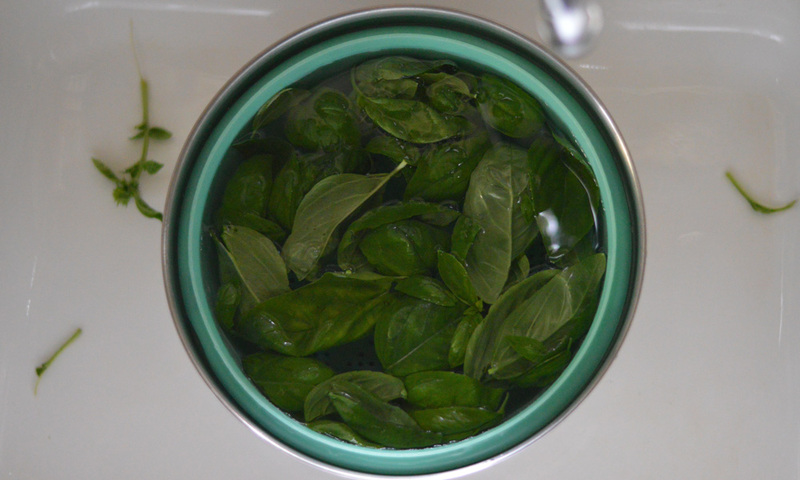 In a pot of salted, rapidly-boiling water for 1-8 minutes, depending on thickness. 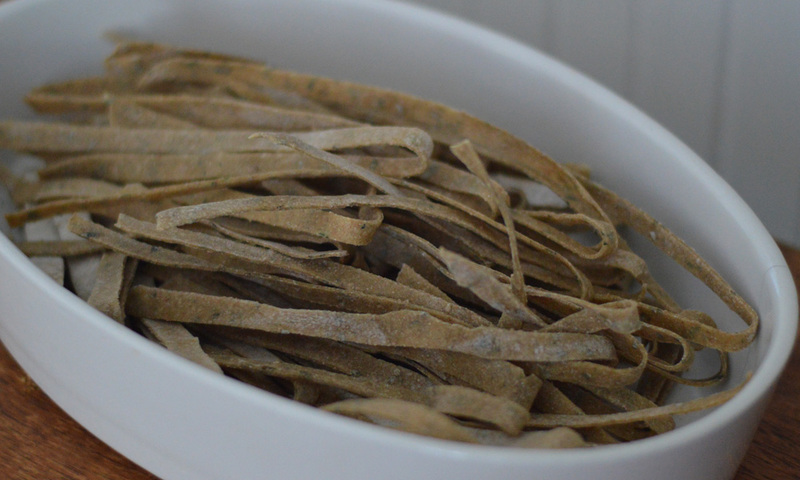 Very fresh, very thin pasta takes only 60 seconds or so; thicker, dried pasta might take 8 minutes. Your mileage may vary. I’d love to hear your trials and tribulations with the adventure that is homemade pasta.